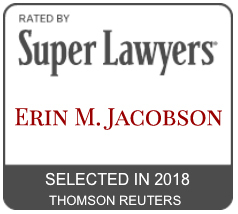 music attorney - Erin M. Jacobson, Esq. Hopefully you’ve read my most recent article where I explained how to choose the right attorney for you. Even though you now know what qualities to look for in an attorney, you may still wonder whether hiring one is possible if you are on a tight budget. As I discussed last time, don’t try to handle the matter yourself, and having a non-music or non-entertainment lawyer handle your matter is less than ideal because only a lawyer experienced in music and entertainment will know the specific nuances that pertain to your situation. While the best solution is still to hire an experienced music attorney to handle your situation, here are three less costly options for independent musicians to get their legal needs met. After finding out the lawyer’s customary rate, you can ask if he or she can do the work on a flat-fee basis, has discounted rates for independent musicians, or has a payment plan where you can pay the fee in installments. You can also ask if the attorney would be willing to work on a percentage basis, but know that many attorneys will only work on percentage for high net worth clients. Don’t expect the attorney to work for free or try to sell him or her on the premise that the attorney will somehow make a lot of money once you’re famous. The music industry is a speculative business, and a new client without a proven track record will often not produce a return on a lawyer’s investment of time and skill. If your matter involves a lawsuit (most often for copyright infringement or breach of contract), you can ask the attorney if he or she works on a “contingency,” meaning that the attorney doesn’t get paid unless he or she wins your case. There are some lawyers who still work on contingency, but most don’t. Keep in mind that even if an attorney does work on contingency, you will most likely still have to pay court filing costs, which can be expensive on their own. Usually, I advise non-lawyers to proceed with extreme caution when downloading or using templates from the internet because these templates are often poor quality and usually not designed for independent musicians. Plus, drafting changes to template agreements without proper legal training can often lead to unforeseen consequences that could be detrimental to your income, copyright ownership, and career. Here is the exception: in my dealings with many independent musicians, I saw that many musicians needed but didn’t have access to resources to meet their legal needs due to cost or other prohibitions preventing them from hiring an attorney. Therefore, I started Indie Artist Resource (currently only available for California residents) to offer template contracts, intellectual property registration services, and legal consultations all specifically designed to address the unique needs of independent musicians. Despite the varying quality of most online templates, I’m confident in recommending the templates and services from Indie Artist Resource, as I have personally developed all of the templates with the needs of independent musicians in mind, and I oversee all operations of the business, including handling the consultations. While the nature of template agreements means that a template isn’t tailored to each individual user’s specific needs, some protection is better than no protection – and I’d rather see a musician using a well-drafted template than proceeding without any agreement in place. There are some nonprofit organizations that offer free or low-cost legal services to musicians. You can research online whether your state has such an organization and contact the organization to see if what they offer meets your legal needs. Some of the lawyers at these organizations are very competent attorneys who service high-level clients and enjoy volunteering their time to help independent musicians. Of course, others are newly licensed and may or may not be reputable. I cannot comment on the caliber of service you will be getting because it depends on which state you are in, the quality of the organization, and the attorney handling your case. However, if you want to work with someone on an ongoing basis throughout your matter and you can’t afford regular attorney’s fees, then this might be a good option for you to investigate. This post first appeared on Sonicbids.com. Before choosing an attorney, you first want to determine whether you actually need a lawyer. The basic rule of thumb is that if you’re presented with a contract, or alternatively, if you feel your contractual or intellectual property rights have been violated, you need a lawyer. Once you’ve determined which services you would like that lawyer to provide, you’ll want to consider several factors to determine whether a particular lawyer is the right fit for your career, especially if this is your first time working with a lawyer. Your attorney is your representative, and thus, an extension of you for business purposes. You want to choose someone you enjoy working with, is qualified for the services you need, has a rate you can afford, and who will reflect the right image to achieve your goals. Here are eight of the most important considerations when choosing an attorney. Is your lawyer a music lawyer, or is it your brother’s friend’s cousin who’s a real estate/personal injury/construction attorney and is willing to look over the contract for free? While this cousin’s generosity is appreciated, you need to say, “Thanks, but no thanks,” and hire an attorney experienced with music contracts. The entertainment industry has very specific contract terminology and industry practices that only pertain to the entertainment industry. This field is so nuanced that even music contracts and film contracts differ enough that some artists have different attorneys for their music and film deals. An attorney who does not focus on music and entertainment contracts will not be familiar with these industry-specific terms and will miss crucial points that separate a good deal from a bad one. This could cost you to lose copyright ownership and/or a lot of money in royalties in addition to other undesirable consequences. Different types of lawyers perform different services. Some lawyers are “transactional” lawyers that draft, review, and negotiate contracts, as well as advise you on career decisions. Having a lawyer handle your contracts is important because even though some contracts may seem fairly simple, contract language is actually very complex and can contain consequences unforeseen to the untrained reader (or drafter). Lawyers endure many stressful years of schooling and training to interpret this language and understand how it affects you. In practice, you may need an attorney to review or draft only one contract for you or you may need him or her to be an ongoing member of your team for all career developments and opportunities, as well as to work with your manager or agent if you have one. Many artist lawyers can also help you set up any business entities you decide to form. Other lawyers are “litigators,” which means they handle lawsuits by either suing others on your behalf and arguing your case or by defending you from someone suing you. This is the type of lawyer you would hire when someone has violated your contractual or intellectual property rights. A lawyer who understands these types of lawsuits can assess whether you have a valid claim, if you have the proper proof needed to win your case, and represent you through a settlement and/or trial. Note that the ability to bring lawsuits is often regulated by a “statute of limitations,” meaning you’ll often only have a certain amount of time to file the suit. This amount of time varies depending on the type of lawsuit and sometimes by state, so it’s best to consult with a lawyer promptly. Still yet, there are other attorneys who “shop” artists, which means that they submit your music to record labels and sometimes other music companies to try to get you a deal. Note that many attorneys do not shop, so it is wise to check the attorney’s website or ask the attorney for his or her shopping policy before requesting that the attorney shop you. Be careful here: some “shopping” attorneys will send out anyone’s music for a fee. Music companies know who these attorneys are often don’t take them or their submissions seriously because the company executives know these submissions are not based on the attorney’s genuine endorsement of the music. Just like you hopefully maintain a good reputation in the industry, you want your attorney to have one as well. You can do an online search for an attorney you’re considering to see if his or her website is appealing and professional. You can also find out if he or she has any articles published or does speaking engagements to get a feel for his or her expertise. More importantly, you want to know whether your potential attorney is honest. You can’t always find this out upfront, but you can ask around to your colleagues to see if anyone has worked with that person and what their experience has been. Also, you can search the attorney’s name on the State Bar website for the state in which the attorney is licensed to see if any disciplinary action has been taken against him or her. Further, an online search may also yield some information in the form of articles or news stories if the attorney has been involved in any unsavory activities. When you envision your attorney, what do you see? There are many different negotiation and business styles and it’s important to consider which style fits your preferred attorney profile and your business image as an artist. Screamers: These attorneys scream at everyone to get the job done and intimidate people to get their way. Some are effective, and some are just plain annoying, actually hindering the progress of deals due to their unpleasantness. Bulldogs: Similar to the Screamers, Bulldogs are tough, fierce, and stubborn. They may not scream, but they can be just as difficult. Partiers: These are the ones you see partying on the tour bus with the band. Many music attorneys are actually frustrated musicians, so the Partiers fulfill their unmet dreams of fame by living vicariously through their clients. Partiers may still be great attorneys during the day, but it’s a personal preference whether you want your attorney partying alongside you after the show. Friends: Many attorneys become friends with their clients. This may include hanging together outside of work, but it just may extend to asking, “How’s the family?” when on a business call. It can be up to you how much you want to discuss your personal life outside of work, but it can make for a more enjoyable business experience. Paper-pushers: These are the ones who stay in the office pining over comma placement. If you’re not looking to socialize and just want someone to stick to drafting, this might be your pick. Combination: Realistically, most attorneys are a combination of some of the above. Some attorneys might be nice until they have a reason to scream. Some may spend most of the time at the office but accept your invitation to the afterparty at next week’s show. Again, it really is about how well you work with the person and what you want in your relationship with him or her. However, style is an important point because having an attorney with the wrong style may end up breaking deals instead of making them on your behalf. You might consider an attorney who already has clients in a similar style and genre to your music.This isn’t essential, but it is a good starting point for an artist who does not currently know any attorneys and wants to do some research on who to further pursue. In addition, an attorney with similar clients may also have already established connections and relationships with other artists or companies you’d like to work with, which can work to your advantage. Attorneys have different billing rates that are usually based on their experience and number of years in practice. Some attorneys only bill hourly and/or require retainers (upfront payments of estimated fees), while some will also charge a flat fee or take a percentage of your income or a deal. Ask the attorney for his or her rates and fee structure. Take serious consideration of what the attorney quotes you and whether you can afford it. Attorney services can be expensive, but it’s important that you pay your attorney for his or her work as he or she has invested time and skill in completing tasks on your behalf, even if that task is answering questions over the telephone. Legal advice is not free; your attorney is providing you a service based on many years of training, knowledge, and experience. Attorneys are licensed by state, so you want to be cognizant of whether the attorney is licensed in your home state, as licensing restrictions may prevent an out-of-state attorney from completing tasks on your behalf or may require the involvement of another attorney licensed in your state, which can mean added fees for you. While a lot of correspondence with your attorney can often be done over telephone and email, you may also want to make sure the attorney’s office is in a convenient location if you have to travel to his or her office. Now that you’re aware of what to look for in an attorney, you might wonder where to find one. Next time, I will discuss how to find potential attorneys as well as options for musicians who need legal services but are not quite ready to add an attorney to their teams.